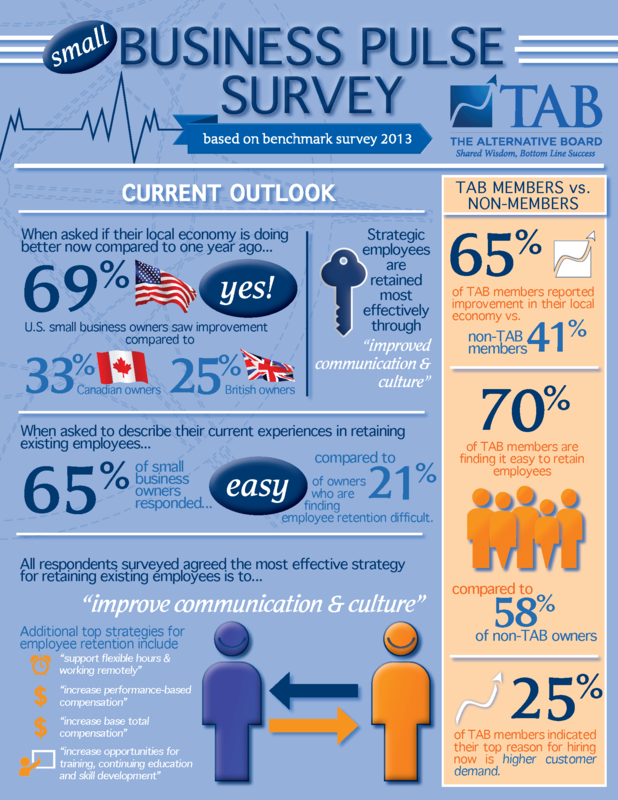 This is a high-level summary of our key findings from the March 2013 Small Business Pulse Survey. This survey concentrated on Employee Retention and Hiring. Strategic employees are retained most effectively through "improved communication & culture"
When asked to describe their current experieince in retaining existing employees 65% of small business owners responded that it was easy to retain employees. All respondents surveyed agreed the most effective strategy for retaining existing employees is to "improve communication & culture"
Additional retention strategies include: "support flexible hours & work remotely", "increase performance-based compensation", "increase base total compensation","increase opportunities for training, continuing education and skill development". The biggest hiring challenge facing business owners is candidates "missing the necessary experience in our industry"
The most effective hiring channels for small business owners were through employee referrals, classified ads, LinkedIn, company website, or a professional recruiter. 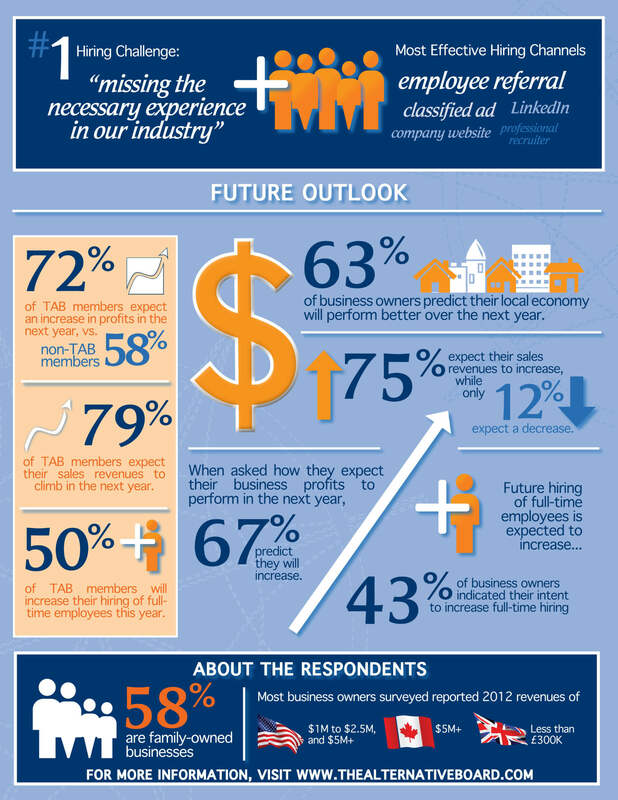 72% of TAB members expect an increase in profits in the next year. 79% of TAB members expects their sales revenues to climb in the next year. 50% of TAB members will increase their hiring of full-time employees this year.